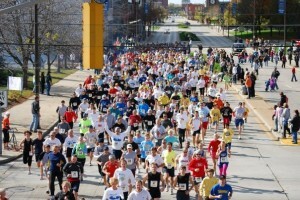 Posted on October 12, 2011 at 10:02:00 am by Holly H.
There&apos;s still time to register for the 12th Annual River City Rat Race -- a must attend event for any runners visiting the Summit City this fall. Enjoy the season&apos;s change of colors and a crisp breeze as you run through the streets of Fort Wayne. The Rat Race, for short, takes athletes through Fort Wayne&apos;s historic neighborhoods. 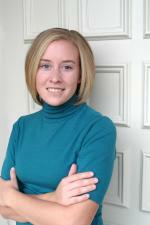 This year&apos;s event is on Sunday, October 23 and features both a 10K and 5K. Both runners and walkers are welcome to participate.The shotgun start is downtown, where you will be sure to see the rat himself, as well as fellow participants, some of which dress in Halloween costumes. Racers will then head into the Lakeside neighborhood just north of downtown and enjoy the sights of some of Fort Wayne&apos;s most notable homes. Runner&apos;s World magazine writer Hal Higdon himself has described this course as "One of the most scenic 10K&apos;s I&apos;ve ever run." 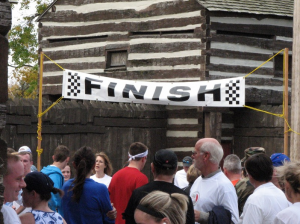 The finish line is right outside of the Historic Old Fort, a recreation of a fort that once stood at the junction of the three rivers in the 1800s. Athletes will receive a post-race meal as part of their entry fee, along with goodie bags and a shirt. Mark your fall race calendar with the River City Rat Race and begin planning your next Fort Wayne venture around the event! Hundreds participate in this annual race, making it an earmark of the northeastern Indiana road racing scene. Registration and additional information, including course maps, are available online. Pre-registration is required and is available through October 16.